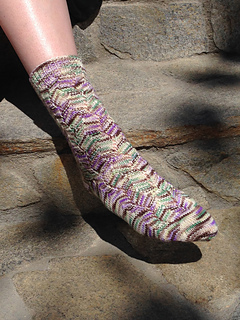 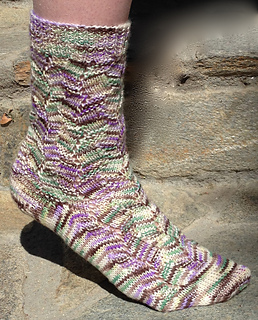 Appealing to both men and women, this stitch pattern is fun to work and is an easy sock for a new sock knitter as well as a quick knit for the experienced knitter. 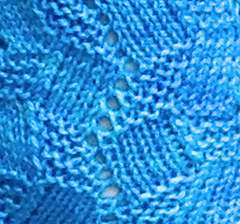 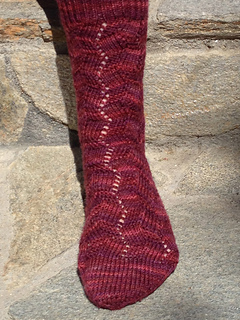 Changing the type of increase in the stitch pattern from a M1 to a YO makes a more lacy look to the sock. 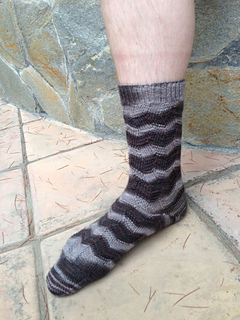 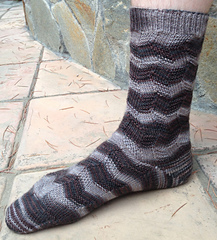 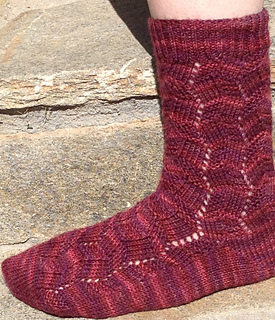 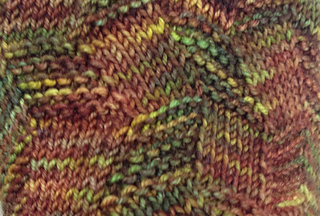 This sock is knit from the top down with directions for a short row heel and a standard wedge toe with a kitchener bind off. 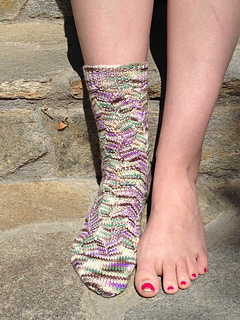 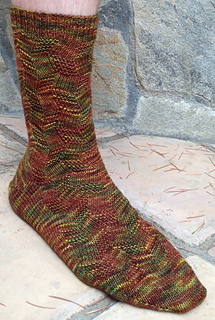 There are photo tutorials on reading your knitting and short row heels.